I was first introduced to the concept of positive affirmations when I was a teenager. I was telling a friend of mine about a problem I was having and she gave me a book off her bookshelf called “You Can Heal Your Life”, by Louise Hay. It really opened my mind to the power of positive affirmations. As Mind Tools puts it, “Affirmations are positive statements that can help you to challenge and overcome self-sabotaging and negative thoughts. When you repeat them often, and believe in them, you can start to make positive changes.” Now, just imagine the power of positive affirmations for kids when they are so much more open to change and actively trying to identify who they are. That is why I love the concept of Connie Bowen’s book, “I Believe In Me.” It is children’s affirmation book that shares positive truths about each of us next to beautiful drawings that help open your mind and explore the meaning of the words. I was provided with a copy of the book for review and I will be hosting a giveaway at the end of this post. 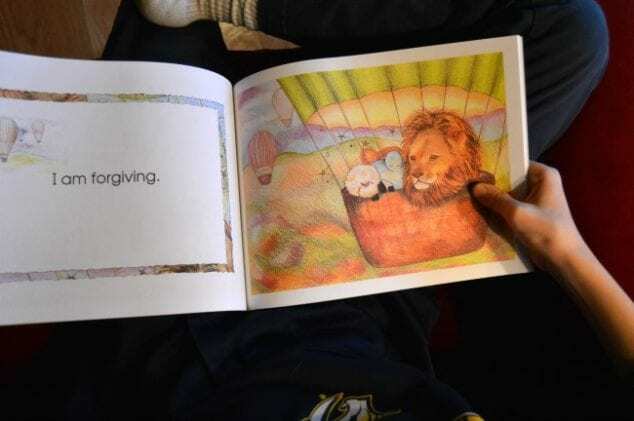 There are 27 positive affirmations for kids in the “I Believe In Me” children’s book by Connie Bowen. Each one has an inspiring illustration to go with it that gives you time to really take in the affirmation while you look at the drawings. There are also a few empty pages at the end with a template for children to fill with their own affirmations and drawings. My son and I read the book together. He read a few affirmations and then I read a few affirmations. We discussed what we had read as we went. “I am wonderfully creative,” he read. “I am thankful,” my son said. “Yes, look how the tiger is thankful for his fish and the gorilla is thankful for his banana and grapes,” my son pointed out. 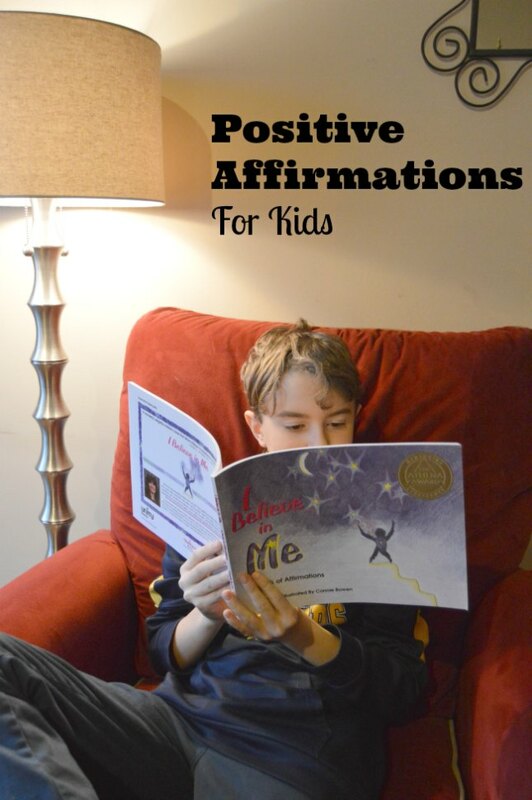 So you can see how each of the positive affirmations for kids is a great conversation starter. This is a nice calming, centering book to read. Even for me, as I read all the affirmations with him they reminded me of the core of things that matter and outside distractions fell away. It is easy to see why “I Believe in Me,” was an Athena Award winner for Mentoring Excellence. 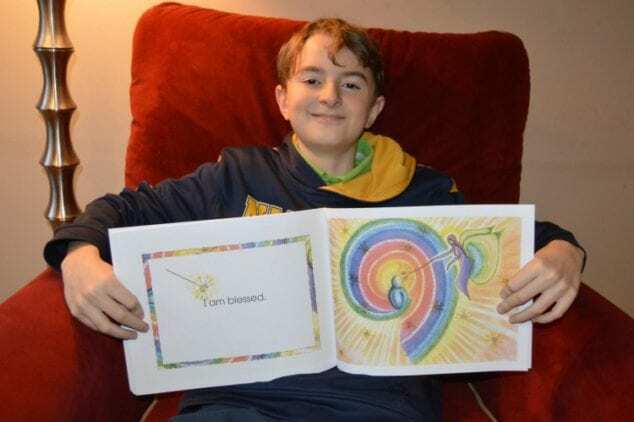 It was also named among, “50 Inspiring Children’s Books with a Positive Message” by Positively Positive. I think that you and your children will really enjoy this book with positive affirmations for kids. You can get your copy at your local book seller or through the Amazon link above. Look for her other titles too like, “I Create My World“. Enter for a chance to win one $50 Amazon gift card so you can get copies of Connie Bowen’s books with positive affirmations for kids. How To Enter: Sign into the widget and follow or share for entries. Winner announced above in the Giveaway Tools widget on March 6, 2018. Winner will be selected through Giveaway Tools and I will notify by email. Winner must respond within 4 days or the prize will be forfeited. Your email will not be shown and will be kept private. Do you think your child would enjoy Connie Bowen’s picture book with positive affirmations for kids?